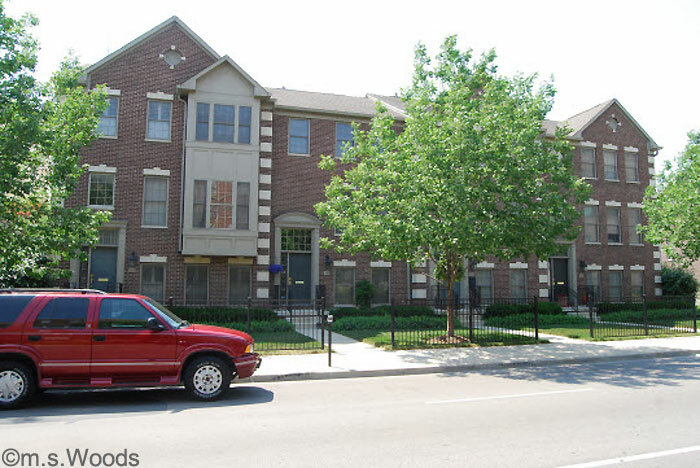 Near the historic Lockerbie neighborhood is sits a row of beautiful townhomes known as The Clevelander. This popular condo community is just a short walk away from Mass Ave, and all the wonderful shops, boutiques and restaurants therein. It is also just a few blocks from a grocery store, hardware store, and dry cleaner. Units in The Clevelander come furnished with sought-after amenities like rich hardwoods, built-in bookshelves, a fireplace, exposed brick, raised ceilings and painted woodwork. Kitchens have been upgraded kitchens to include amenities like granite counter tops, beaucoup cabinetry, dishwasher, garbage disposal, large refrigerator and electric oven/range, to name a few. All Clevelander condos enjoy private balconies with awesome views of downtown Indy. The enormous master suites feature over-sized tubs and large closets. And each unit is equipped with a laundry room with washer and dryer.